In this tutorial, you will learn about “how to use the correct Anchor Text properly to drive best results and avoid PENGUIN related penalties”. Using Anchor text variations can be confusing at first, but if you understand that how to use it & in which proportions, then you will automatically become a lot better at SEO. Always remember that Anchor texts can literally make or break a campaign. 1. What Exactly "Anchor Text" Is? By clicking on this visible anchor text i.e. venusfactorreviewz you will be directed to the targeted URL for this keyword. <a> and </a> = beginning and end of link tag. Search engines use this text to help determine the subject matter of the linked-to document. Anchor Text is one of the most important relevancy factors for SEO. There are various relevancy factors within the website page, elements like the meta title, the heading tags, the surrounding text and the anchor text. Anchor text is one of the easiest ways for Google to understand the relevancy of any given website. It is one of the best ways for Google to find out the SEO'd websites and penalize them, all they need to do is run their PENGUIN filter to screen sites with over optimized backlink profiles (When we say over optimized, we mean backlink profiles which concentrate heavily on exact anchor text for which sites want to rank rather than a natural backlink profile). But, this doesn't mean that anchor text has lost its value in SEO. In fact, it has become even stronger than it was before. Before the first Penguin update SEO people all over the world were targetting 100% exact match anchors for all of their backlinks to rank. But, after the first penguin update everything was changed and with every next update the situation become trickier for SEO people. The anchor text should contain keywords that are related to our targeted search terms. In other words, our text should be keyword-rich if we want to increase our chances of improving our keyword rankings. Before explaining the whole Anchor text strategy, it is important for you to know & understand all the different types of anchors so that you’ll be able to create a diverse and organic link/anchor profile. Branded Anchors are those anchor that uses your brand name in it. Branded anchors are the safest as long as your site is not an exact match domain. Simply take a look at any big brand and look at the percentage of branded anchors in their link profile. Naked URL means using the exact URL of a website as it is to get a backlink. For example: http://venusfactorreviewz.com/ will be used as it is, which means it will be used as a whole URL without any variations. This is a tricky strategy, but it’s a good idea plus it looks more natural. Google likes more natural link growth and placement. 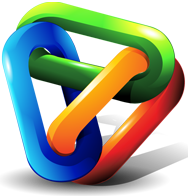 It does hamper the time period in which the site ranks, as you are link building on multiple keywords rather then few but its the way Google likes it. Believe or not exact match anchors/direct keywords are the most crucial of all anchor text. Not only it has the power to increase your rankings, but also has the power to penalize your website. In simple terms, an exact match anchor/direct keyword is the exact match of whatever your target keyword is. For Example: if “Venus Factor” is my target keyword, then my exact match anchor would be “Venus Factor”. Partial Match anchor or Keyword Variation are very similar to LSI’s (Latent Symentic Indexing), but the major difference is that you’re making it up as opposed to using Google’s suggestions or using keywords that have search volume. Finding Partial Match anchor/Keyword Variation is super easy. You can either use Google’s suggest options in the search bar, “Searched related to ___” at the bottom of the search results, or for more extensive keywords, you can use the Keyword Planner. In a sentence: “Go here if you’re looking for venus factor.” – “Go here” is the generic anchor text. f) Others: Other Anchors include variations of exact match, partial match & generic anchors etc. Image links can be used in every campaign because it’s a great way to diversify link velocity. Some SEO forms may claim that the anchor text isn’t counted in images, but it does count. Google uses the “ALT” tag as the anchor text in an image. If you leave this blank, you’ll get a “noText” anchor. This is another great strategy to stay safe and for building a diverse as well as natural anchor profile. In the above examples you’re simply combining your target keyword with your brand. “LSI” stands for “Latent Semantic Indexing”. It simply means variations of your main keyword. Long anchors are really just an extension of partial-match except they are a little longer. Remember: With Link Authority you are able to publish your link in high quality articles and relevancy is all that matters to Google.